Tactics are one of the most important elements of football management and Football Manager 2018 offers plenty of ways to help you better understand tactics to get the best out of your squad on matchdays, alongside some new options. When you click on the tactics tab in Football Manager 2018 you’ll immediately notice a radical departure from the tactics screen of old. 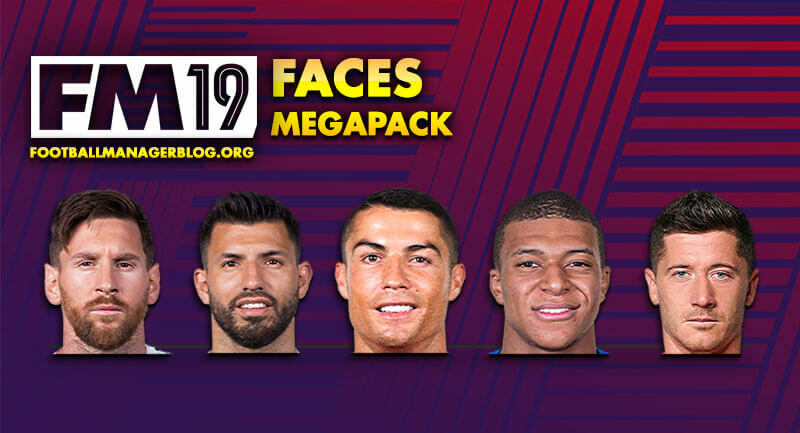 You’ll see that there are now two distinct panels – ‘tactics’ and ‘players’. The tactics section is where you select your formation, mentality and team shape and deliver team and player instructions. 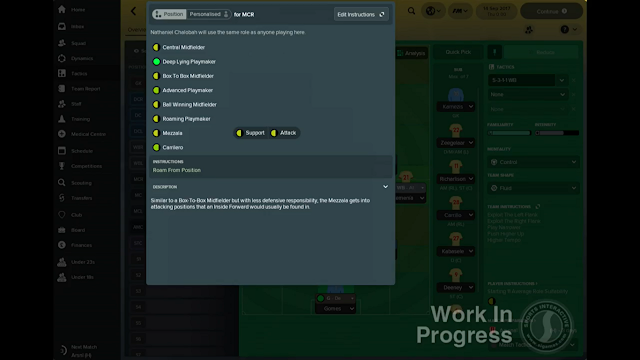 The players section allows you to handle team selection and change player roles – as well as specifying if you want each member of the team to use the default or personalised player instructions. You can expand, reduce and pin the tactics section, depending on which part of the screen you want to focus on. 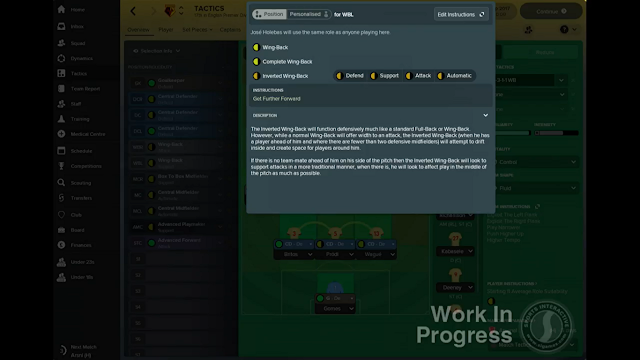 When the tactics section is reduced, you can still move players around the mini tactics pitch – and by pinning the ‘Tactics Panel’ you can work with both panels at the same time. 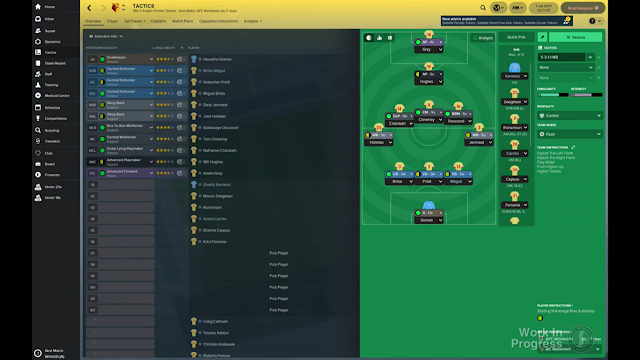 The new tactics screen is less cluttered and easier to get to grips with, without losing any functionality. 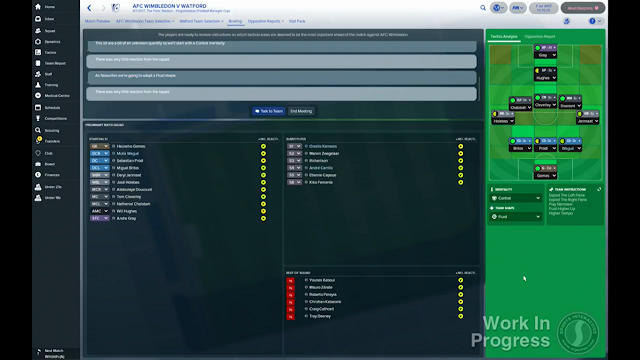 Nowadays, most real-life clubs conduct a pre-match briefing ahead of their matches, so this has been incorporated in Football Manager 2018. These briefings usually occur on the eve of a match and give you the opportunity to explain to the squad what it is you want them to focus on in the upcoming fixture. 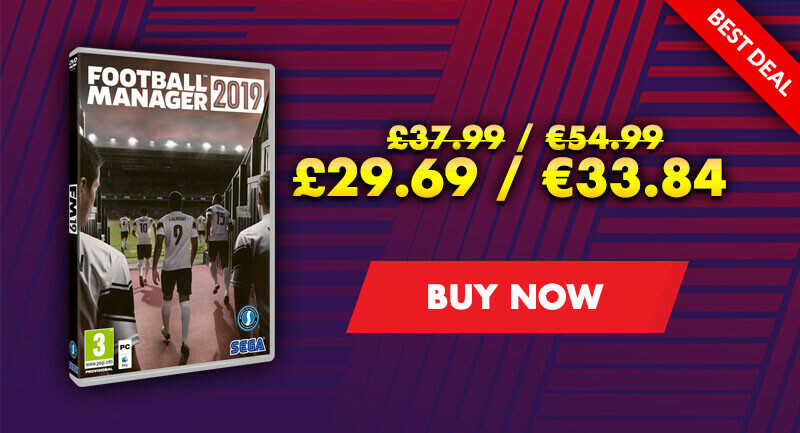 You can run them through your tactics, player, team and opposition instructions and any changes you’ve made to the match squad. 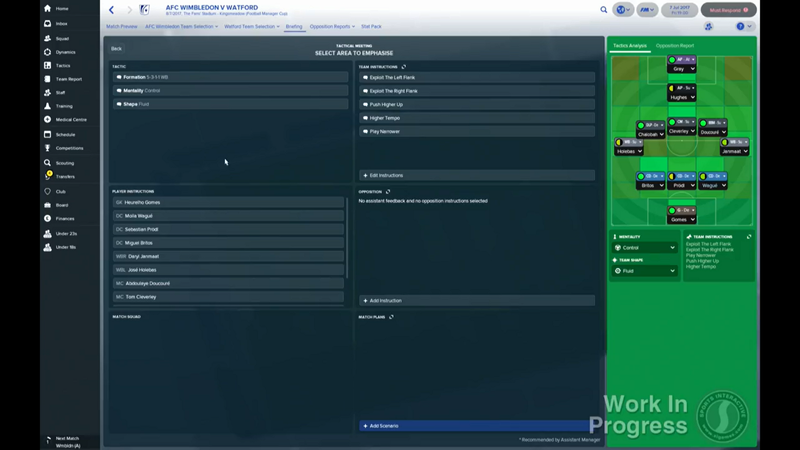 Your tactics analysis and your scout’s report on the opposition are viewable on the right-hand side of the screen so you can incorporate elements of these into the meeting. You’re able to clearly gauge the reactions of the squad to everything you say on the main meeting screen as well. If you’re more of a hands-off manager, then you have the option to let your assistant do the talking for you. 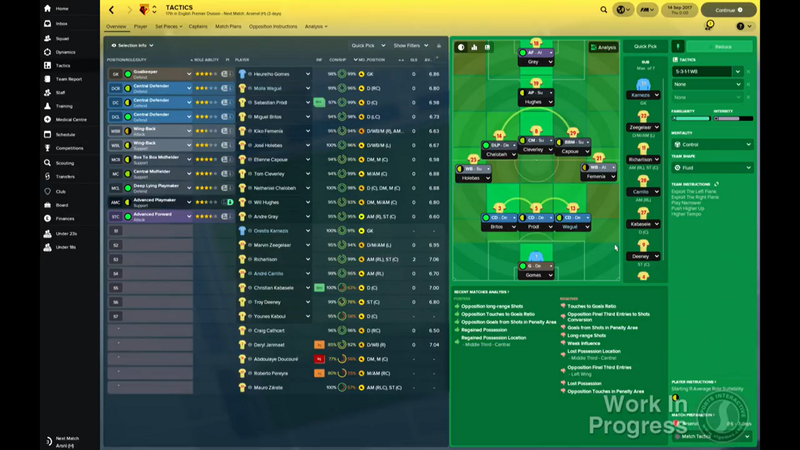 Analysis has also been incorporated into tactics in a more intuitive way. 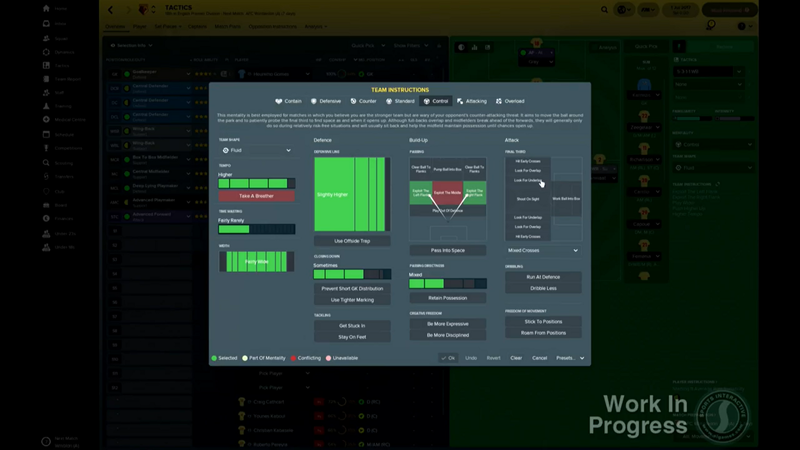 Firstly, you’ll notice on the ‘Tactics Panel’ that there is a dedicated analysis section that shows trends from your recent matches – these are clearly split out into positives and negatives. 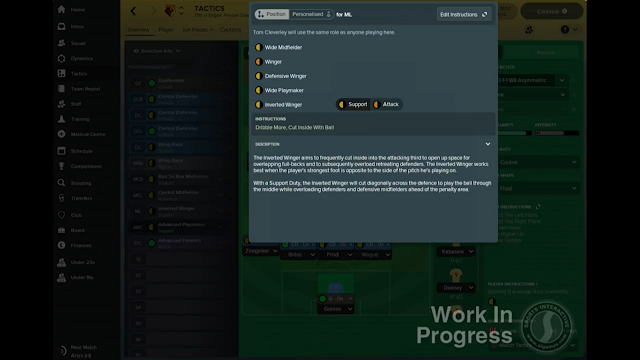 There’s also now tactical analysis on your tactics pitch. The grid overlay shows areas of potential exposure, taking into account the formation and roles set for each player. Areas that are red or orange show where you’re particularly vulnerable. 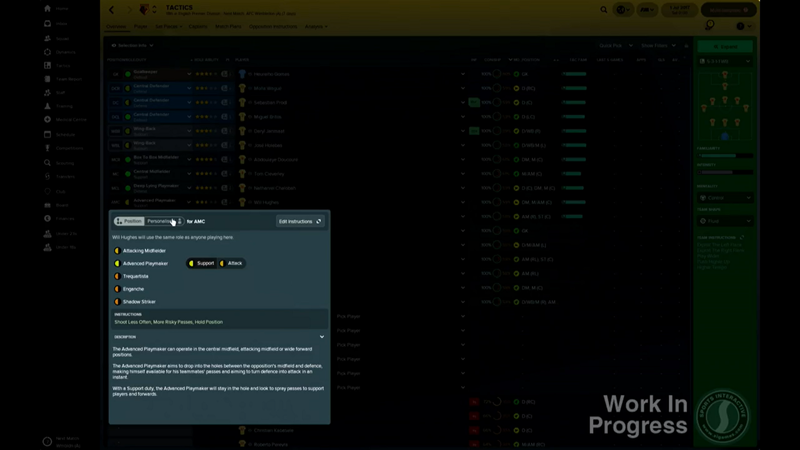 The analysis also highlights partnerships between your players. 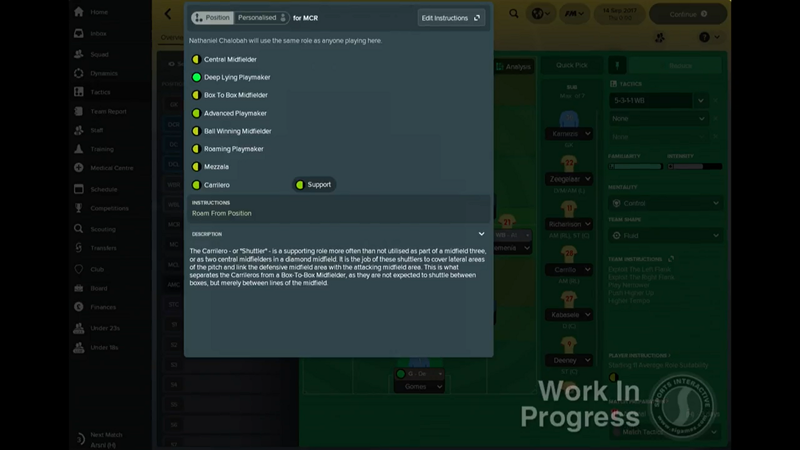 This takes into account factors such as the roles selected as well as recent performances so, for example, players who have been successfully stringing together passes or creating opportunities for each other will be highlighted with a green connecting line, indicating a strong partnership, made possible by the new Dynamics features in FM18. Some new player roles also make their debut in this years’ edition. The Segundo Volante looks to support in both attack and defence from the defensive midfield position while the Mezzala and Carrilero roles are new additions in the central midfield position. The Mezzala operates centrally, but strives to get into positions that an Inside Forward would usually occupy. The Carrilero, on the other hand, shuttles between midfield lines. The final new role this year is the Inverted Winger, which can be applied to either left or right midfielders. Some of the existing roles have been tweaked too. 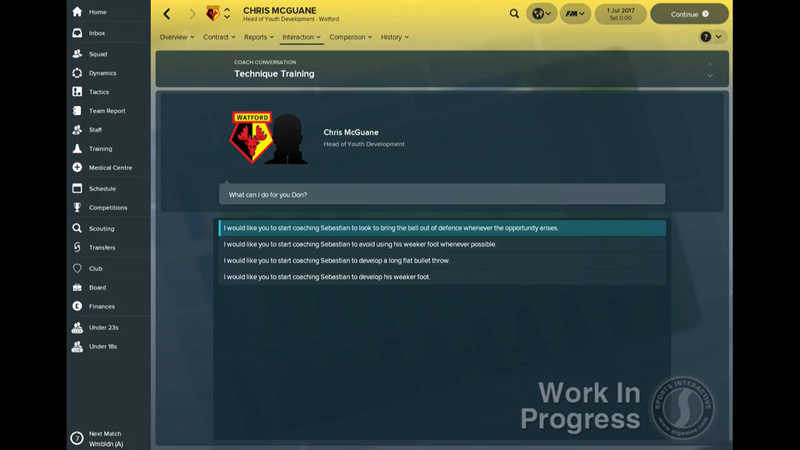 Trequartista can now be assigned to players in the AMR or AML positions and Inverted Wing Backs now have a duty to attack as well as defend. There are a host of new Player and Team Instructions. You can ask your team to look for the underlap in the final third, while in the Player Instruction menu you can instruct players to mark a specific position and ask central players to run wide with the ball. There’s a new Player Preferred Move this year, as you can ask defenders to bring the ball out of defence, and more choices with free kicks in the set piece creator, with the ability to set different free kicks based on where the free kick is being taken from. New preferred move, tell you defenders to bring the ball out of defence. 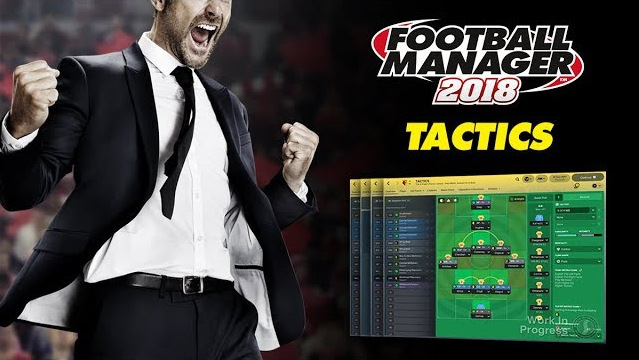 The tactical innovations in Football Manager 2018 make it easier to implement your tactical philosophy, whilst giving you more control. 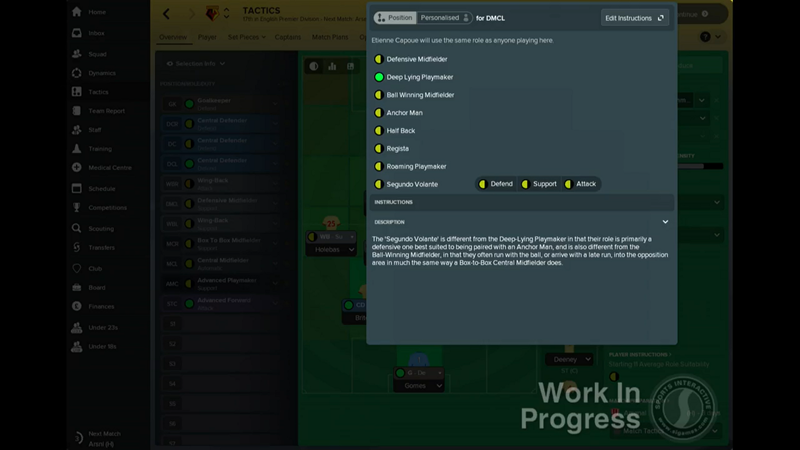 With the addition of tactical analysis at the heart of the tactics screen it’s easier to judge in what areas of the pitch your tactic leaves you vulnerable and the pre-match briefing allows you to find out what the players are thinking too. 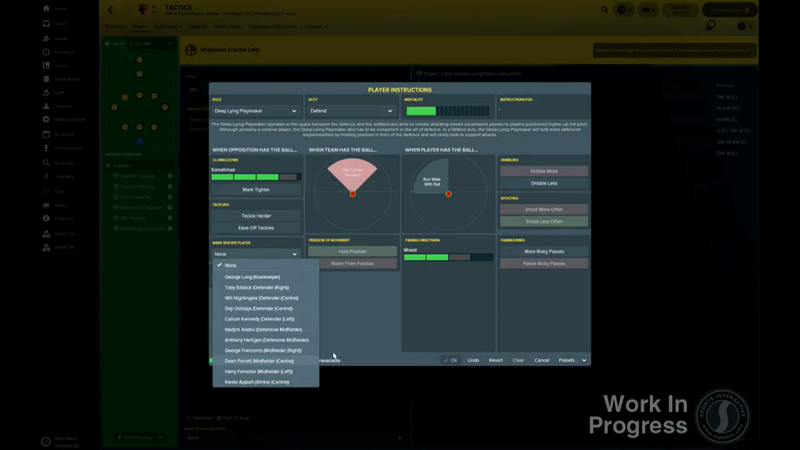 To sum it up – tactics in FM18 offers more possibilities, is easier to use and gives better feedback. Football Manager 2018 has undergone a Tactical Revamp. 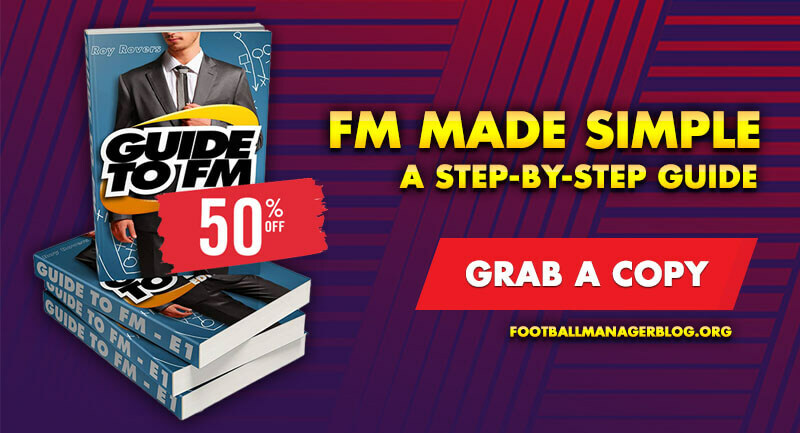 We take a closer look at the changes that happened to FM2018.